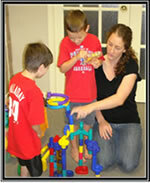 TherAbilities specializes in therapies for children and young adults. 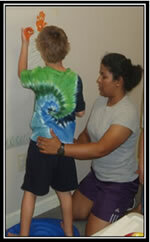 Our staff focus on matching the most effective clinical methods to the needs of each child. We believe families and professionals can make well-informed decisions if we provide them with up-to-date evidence about therapeutic, educational, and behavioral interventions. We strive to be genuine partners in the therapy process, building skills and knowledge, as well as, confidence and trusting relationships with the individuals we serve. 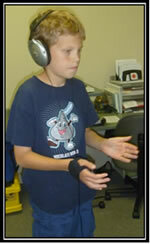 The Tomatis® Method is a program of sound stimulation, audio-vocal work, and counseling to train and develop listening and listening-related skills. For more information [Click here]. The Interactive Metronome® is the only research-based training program that combines the concept of a musical metronome with a patented technology system that accurately measures and improves a person’s rhythm and timing. By improving these fundamental abilities, the IM program “trains the brain” to plan, sequence and process information more effectively. For more information [Click here to download PDF].